Many Toronto homes have carpeting, which requires regular cleaning. Most homeowners know they need to clean their carpeting, but are not sure how often they need it professionally cleaned. They also look for ways to help maintain their carpet for years to come. These tips and suggestions will help you maintain the appearance of carpeting and help you determine how often to get them cleaned by a professional carpet cleaning company in Toronto. Keep as much as the dirt outside as possible. As any parent will tell you, keeping dirt outside when you have children is next to impossible. The easiest way to help with this is to insist that everyone who enters your home take their shoes off. You will find that many different cultures have this as a part of their daily routine. The removal of your shoes helps to limit the amount of dirt that is brought into your home and helps keep your carpets looking clean longer. Frequent vacuuming is important. Vacuuming your home once or twice a week can help your carpet last longer. However, high traffic areas should be vacuumed at least twice a week, sometimes three, depending on the amount of traffic, and helps improve the longevity of your carpeting. Make between four to six passes in the high traffic areas and between two to three passes in other areas is the best way to get as much dirt out of your carpeting as possible. Clean stains and spots when you notice them. Many carpets have stain protection, but you still have to clean the stains spots, otherwise this protection will become ineffective. When you do spot and stain cleaning, remember to blot the stained area and to never scrub. In addition, you should avoid getting the carpeting overly wet and soaked as this can lead to other problems, like mold and mildew underneath the carpeting. Move furniture and rearrange rooms to improve the longevity of your carpeting and keep it looking like new longer. By rotating, moving, or rearranging the placement of furniture every six months, it helps ensure even wear of the carpeting and helps it last longer. Get carpeting professional cleaned on a regular basis to maintain its appearance. Most carpet manufacturers recommend having carpeting professional cleaned every 12 to 18 months. If you do not maintain a schedule of regular professional carpet cleaning, it could potentially void the warranty on your carpeting. This is not that often and many people make it part of their spring cleaning regimen, to ensure they remember to have their carpets cleaned annually. Have carpeting patched and repaired to extend its life. Having your carpet patched and repaired from an experienced carpet patching company in Toronto will also help increase the longevity of your carpets. Eventually, your carpeting will need to be replaced, even when using the above tips and suggestions. The average home carpeting requires replacement every seven to ten years, or so. Usually, homeowners consider carpet replacement when they are renovating or remodeling their home or have recently moved into a new home and have no idea how old the current carpeting is, it is in desperate need of replacement, or they want a different colour more suitable to their tastes. For more information about professional carpet cleaning, carpet repair, and carpet patching services in Toronto, please feel free to contact the experts at Dr. Carpet today by phoning 647-800-5199. We are happy to help you maintain and get the most life out of the carpeting in your GTA home. Wintertime means snow, ice, sleet, and rain, as well as salt, dirt, and sand that is going to get tracked into your Toronto home. If you have pets and children, there is even more increased traffic coming in and out of the home. The sand, dirt, and salt get trapped in carpet fibers and salt causes a whitening to hardwood floors. In addition, you have to heat the home with your furnace and fireplace, which also creates additional dust that gets trapped in the carpet and onto floors. There are several different things you can do to help keep your home clean during the winter. Here are a few ideas you can incorporate into your cleaning schedule to maintain the appearance of carpeting and hardwood floors throughout the winter. Increase regular vacuuming and mopping to twice a week. You do not have to do both chores on the same days. By doing these a few times a week, it will reduce the amount of salt, sand, dirt, and dust in the carpeting and on the floors. Everyone hates dusting, but if you want to keep the home clean, you are just going to have to make sure to do this chore, at least during the winter. Remember to dust ceiling fan blades, around window and door moldings, and other areas you normally overlook. Try to do your dusting in areas within your home on the same day you are vacuuming carpets or mopping the floors. Furnace filters can quickly become dirty and clogged in the winter months. A clogged filter cannot remove as much dust and other unwanted particles from the air. In addition, dirty filters increase your energy bills because your furnace has to work harder to heat the home. By changing filters monthly, you ensure your furnace is able to remove as much dust and airborne particles as possible. Place heavy duty door mats on both sides of entry doors into the home. The mats will help collect some of the salt, sand, dirt, snow, and water and keep it off of your floors and out of the carpeting. You should also try to take boots and shoes off outside, before entering the home. If you do not have somewhere to store you boots, get some cookie sheets with raised edges and use these to place wet boots and shoes on. If you have a fireplace and use it on a daily basis, you need to clean the ash out of it at least once a week. The ash can easily get spread into the home and into the carpeting or on your floors, especially if you have a fireplace blower fan. Have your carpets and area rugs steam cleaned by a professional carpet cleaning company in Toronto, at least once during the winter months, like after the holidays, for a quick touch up to refresh the carpets appearance. Once spring arrives, have the carpet cleaning company return to do a more detailed carpet cleaning and make any needed carpet patching and carpet repairs. 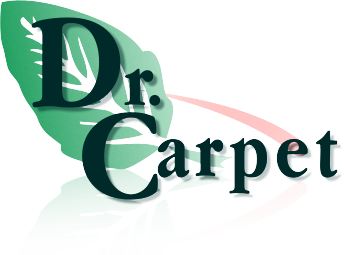 For experienced assistance in keeping your carpeting clean through the winter, do not hesitate to contact Dr. Carpet today at 647-800-5199. We offer a wide variety of area rug, upholstery, and carpet repair, patching, and cleaning services, as well as water damage and restoration services for residential and commercial customers in the Greater Toronto Area. As the weather starts to cool down and fall is here, now is a great time to get carpet cleaning and carpet patching service in Toronto. You probably have noticed high traffic areas and dirt from your kids and their friends being in and out of your home over the summer. There could be stains and spots on the carpeting from accidental spills that you discovered after they had set. Additionally, certain areas of the carpet might be so worn there is damage. Since the temperatures are cooler, carpeting cleaning and patching is much easier since you do not have to worry about humidity that increases drying times. With the kids back in school, they will not be underfoot or have to be contained to a specific area of the home while the carpeting is professionally cleaned. Getting your carpets patched and cleaned now, will restore their beauty and ensure your home is ready for any upcoming Halloween and holiday parties. Did you know most carpeting manufacturers require carpeting to be cleaned at least once a year to maintain the warranty? Many people do not even realize this and let their carpets go for longer periods of time in between cleaning. As a result, if they require warranty service, they later discover they violated the terms and conditions of the warranty. A fully trained and licensed carpet technician is able to inspect your home and provide recommendations as to whether it would be better to get the carpeting patched and cleaned or replace it. In some cases, you may only need to replace part of the carpeting rather than the entire section in various rooms of your home. Obtaining this insight helps save you money and gives you several different options. Using the right carpeting cleaning methods removes spots, stains, dirt, dust, and other materials form the carpeting materials to restore its original appearance. There are several different techniques that can be used to eliminate dirty, dingy looking carpets. In addition, clean carpets help improve indoor air quality since cleaning removes airborne pollutants, allergens, and bacteria. Even if your carpeting looks like it is ready to be replaced, it still might be able to be saved with help from a professional Toronto carpeting patching and cleaning service. Frequently, people do not even consider this option and spend money on getting new carpeting, when their existing carpeting is still restorable and has several more years of life. Before you head out and start looking at new carpeting, have a professional carpet technician inspect your current carpeting. You might be surprised that it is possible to get your carpeting looking brand new without having to replace it. For additional information about professional carpet cleaning, maintenance, and repair services in the GTA, please contact Dr. Carpet today at 647-800-5199 to schedule a free in-home consultation appointment. We are also experts at water damage, upholstery cleaning, and area rug cleaning.